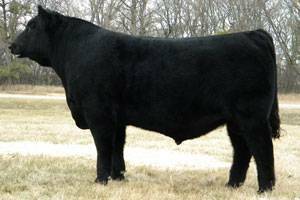 Triple Threat is an awesome performance bull who was a sale feature at the 2013 Bush Angus Sale in Britton, SD. Many have called him a fantastic Timeless son who owns tremendous look in addition to his three dimensional build of muscle shape and rib-shape. The Big Time daughters are stand-outs and we foresee Triple Threat producing outstanding bulls and daughters!